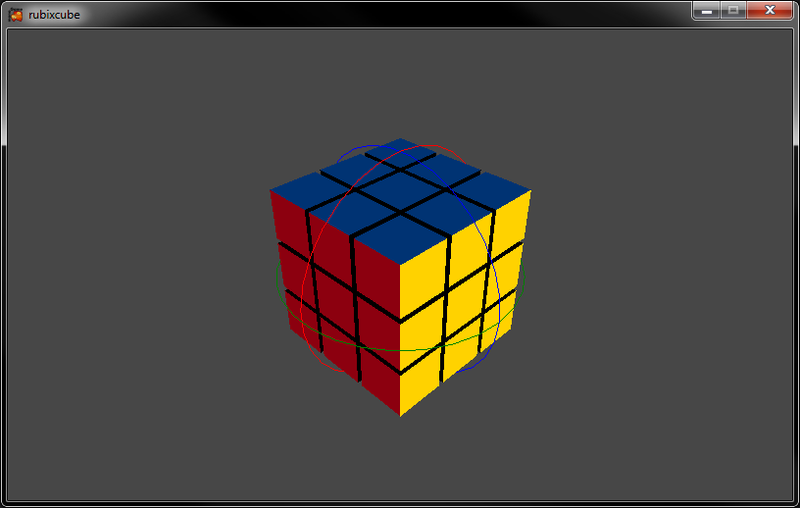 I've a scene with a cube that I can rotate around yaw, pitch and roll. I do this by click the circles and drag the mouse on x/y-axis. 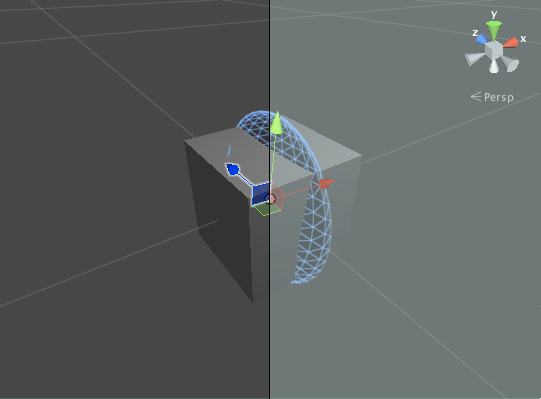 I want similar functionality as the Unity rotation tool in editor mode. 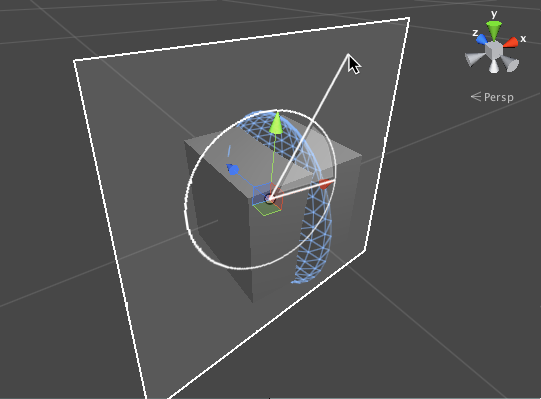 My problem is that I can't figure out how to transform the mouse movement so the rotation doesn't become reversed if the cube is rotated 180 degrees in some axis. And how to use correct mouse direction depending on how the cube is rotated. I study how Unity editor handles rotation with mouse movements. You can rotate by directly clicking on the object, but I didn't look too deeply to that rotation since it doesn't answer your question. You can hold the circular handles to rotate on only one local axis. The positive direction of the axis (here, we are rotating around Z axis) is pointing left depending of the projection of the center of the object (the pink dot). 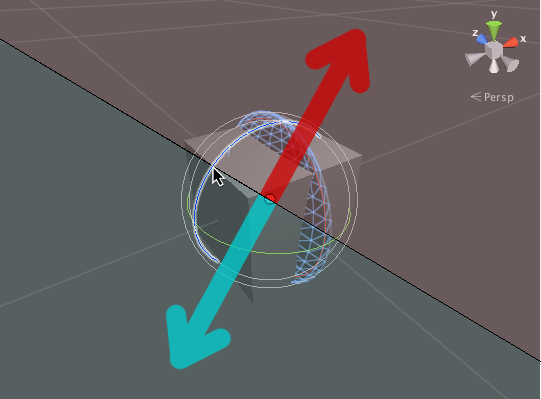 When pointing right, the positive direction is up/right depending of the line angle, else positive is at down/left of the line. You can easily get the direction of the axis by measuring the angle of it, which you can get by removing its Euler angles from the Euler angles of the camera. This only works when you have the Y axis of the camera pointing up. Another approach would be to use rays and planes (They are both your best friends !) and apply the delta rotation each time the mouse moves. This way, there's no ambiguity. Not the answer you're looking for? Browse other questions tagged xna c# monogame or ask your own question. XNA 3rd Person Camera - pitch reverses when facing backwards? Should I rotate the Camera using the View or World?